This post contains affiliate links, which means that I collect a commission, at no additional cost to you, should you choose to make a purchase. I consider reading a very important part of my professional development as a Special Educator. I mean, let's face it. How often are district professional developments geared towards us? How many times have I been in trainings where I question what I'm doing there because the skills being discussed are way above the skill level of the students in my classroom. I consider my summer reads my professional development. I like to read during the summer because I really have time to think and digest the information that's being shared in the book. I have 5 books I'm recommending for you this summer. I want to share why chose them, why I love them, and who they might be useful for. Check them out! This book was recommended to me wayyyyyyy back when I first started teaching children on the Autism Spectrum and I just picked it up over this summer. I don't know why I waited so long, because it's chock full of information that you can use in your classroom, but the real reason I got this is to put together some parent trainings for next year. The book comes in a practitioners manual and a parents manual. I decided to get the parents manual because I want to give my parents lots of information about how they can help their child at home to increase their communication skills. I would definitely say this book is geared towards early education or children who are just emerging with their communication skills. While it's in a workbook format intended for parents who are supporting their child at home, I'm going to adapt the information and make some classroom trainings for my parents. Another great idea. 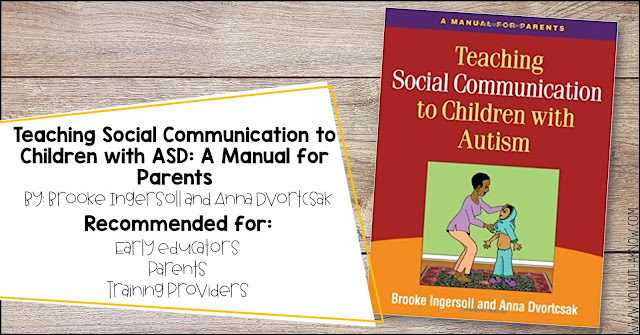 Have a family book study and use this manual as a support document to facilitate conversations about communication and how parents can continue learning at home. If you know me, you know I'm a big fan of Paula Kluth and if you haven't read You're Going to Love This Kid, add that to your summer reading list now. It's basically such a great book that I didn't even think to add it to this list. Honestly, I reread it every summer. 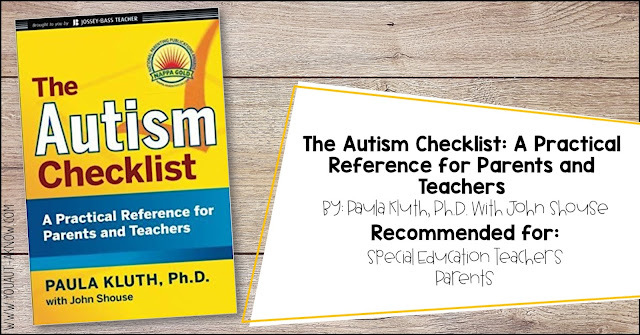 This book, however, is a super quick and easy reference guide for parents and teachers. I love how the book is organized by topics or interfering behaviors you might see at home or in school and then there is a bulleted list of ideas to try to address the behavior or skills you're teaching. This is more of a reference guide, so I probably wouldn't sit down over the summer and read it cover to cover, but I definitely recommend that you take some time to sit down and browse what's inside. Knowing how to navigate this book is definitely going to help me when I return to school in the fall. Again, this is another quick read and something I wouldn't be reading cover to cover. 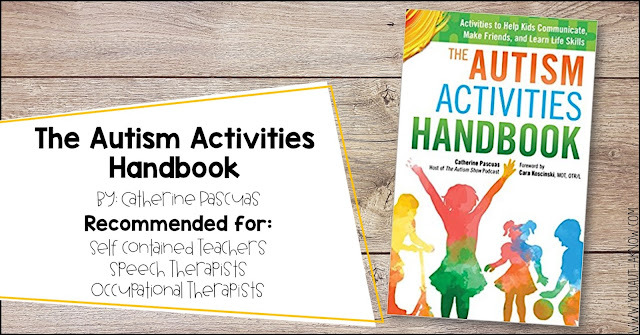 This is a great book of activities you can do with students in your classroom or therapy sessions to target communication, play skills, and life skills. There are over 30 games you can play with students and the activities are super adaptable to fit the needs of a variety of students. I browsed through the activities quickly and tabbed a few I want to try when we return to school in the fall. I love the incorporation of a variety of skills into one activity or game. This is a great way to get pumped about the new school year! 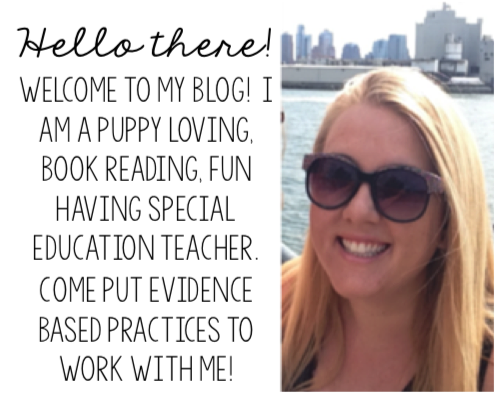 If you've been around for a while, I don't think it's a surprise that I'm an Evidence Based Practices girl. I to make sure what I'm doing in my classroom and on campus has evidence behind it. 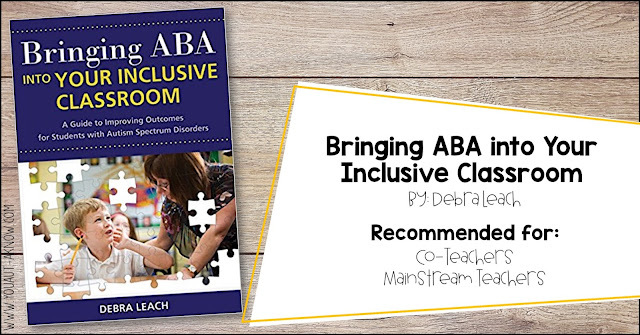 I know that ABA principles are highly researched and evidence based. I have a number of students who will be spending an increasing amount of time in the general education classroom next year. It has been a while since I've dove into mainstreaming and, honestly, I need to step my game up. This is definitely a more intense read than the last 2 recommendations. There is a ton of information in this book to help students be successful in their general education classroom and I especially love the lesson plans that provide objectives, data collection procedures, and teaching plans. These are great to use as I'm planning for increased participation in general education next year. Ok, hear me out. This book is GREAT for school culture. I don't think it is going to be a program that works for our severely impacted students, but with the increase we have seen in behavioral challenges at my school over the past few years, we need a school wide cultures that better addresses the needs of students. It's not uncommon that I'm called into meetings about student behavior that doesn't exactly fall into my ABA wheelhouse. I love the problem solving approach that Dr. Greene uses to address students with behavioral challenges. I am bringing this book back to school with me in the fall and taking it to our PBIS team as a reference and hoping it is a jumping off point to a problem solving approach for the behavior challenges we are seeing on campus. 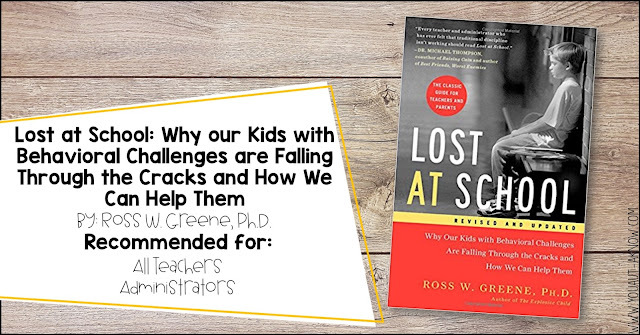 This quick read provides a ton of information on the system Dr. Greene uses, but is interspersed with a narrative about how this approach looks in the school setting. I cannot say enough great things about this book and I highly recommend it for anyone that works with children in any capacity. 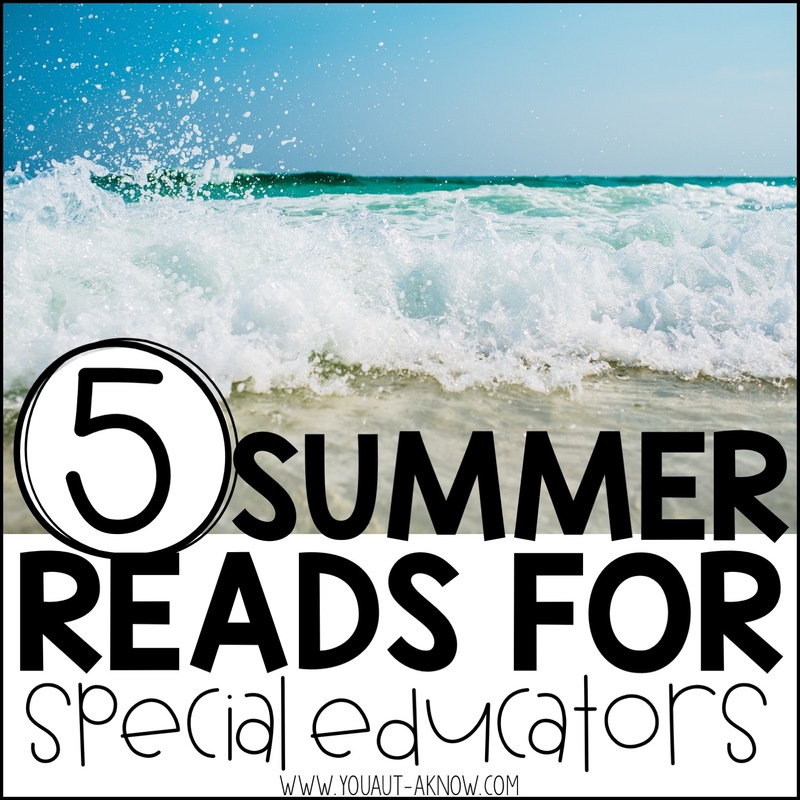 Even if these titles don't seem right for your classroom or setting, I highly recommend you take the summer to do some recharging for the next school year. 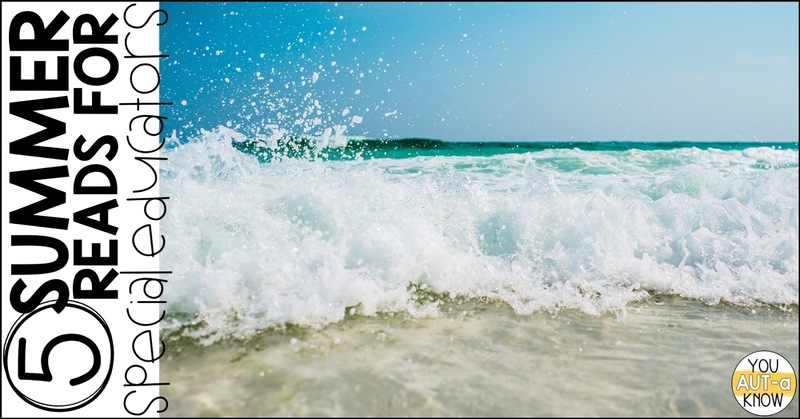 Whether you find a professional development book or dive deeper into the Evidence Based Practices this summer, you're going to be so happy you did it in the fall!